A while ago we did a poll on what type of furniture you would like to see more.Design furniture was the winner, and doors and windows the close runner up. Today we’re happy to present a fine set of new elements! 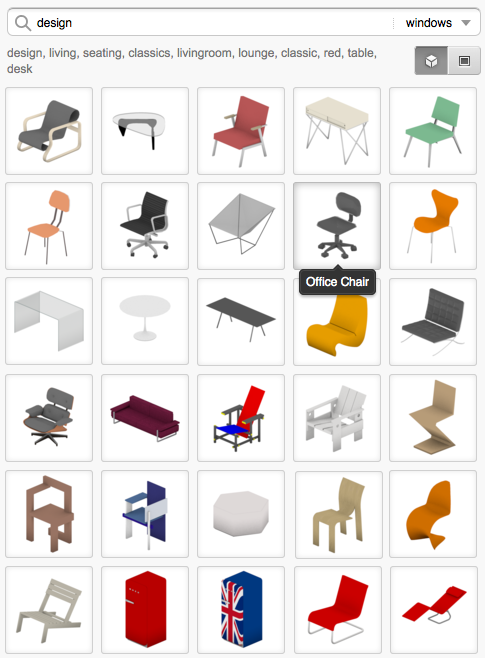 We’ve added some classic designs of famous designers like Alvar Aalto and Gijs Bakker, but also more temporary designers like Van Seeveren, Las Palmas bar chairs and some Vitra furniture. 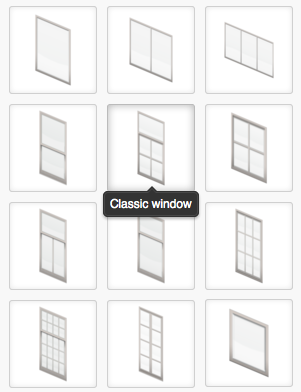 We also created a set of new windows like double hung windows, a more classic segmented one, and a small one for in stairways or bathrooms, etc. We hope you like it and that this will help you to get a better impression of your house. A set of doors and other elements will follow as we are constantly adding new stuff to our libraries. Happy planning!